Nicolas Talbott has dreamed of being in the military since he was a child, and for the past two years, the 24-year-old Ohio resident has eagerly been waiting to enlist. Now, with President Donald Trump’s proposed ban on transgender service members on hold, Talbott, a transgender man, can finally work toward his dream. Over the past several months, a number of federal judges have blocked the Trump administration’s attempt to prohibit transgender military recruits, which forced the Justice Department to put the ban on hold. 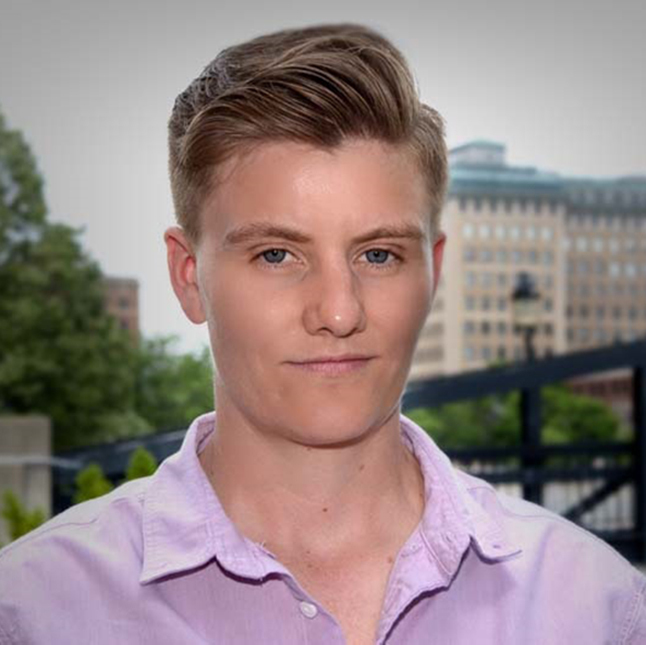 As of Jan. 1, recruits like Talbott have been able to start the enlistment process, and existing trans service members have been protected from being discharged. However, the Justice Department hasn’t given any indication that it will altogether give up its court fight. If it continues to pursue the transgender military ban and is successful in court, the ban would go back into effect. Talbott said that fear is in the the back of his mind, although he sees it as unlikely. “The way things have been going and the amount of support I’ve received, not only from people that I know very well but from absolute strangers, I really don’t think that that’s in the realm of possibility at this point,” he said. While majoring in sociology and criminology, he had dreams of pursuing a career in counterterrorism. But at the time, he was not eligible to enlist because of the longstanding ban on openly transgender soldiers. Then, in June 2016, shortly after Talbott graduated from college, the Obama administration announced it would lift the ban. Talbott excitedly met with his recruiter that September to enlist. But the recruiter told him it would probably be a year before the military began processing trans recruits. “We were not sure how to progress at that point,” Talbott said. So he decided to get a job while he waited for his recruiter’s call. In the summer of 2017, Talbott was working as a substitute teacher and a truck driver to make ends meet. With a year having gone by since the Obama administration’s announcement, Talbott was also eagerly awaiting a call from his military recruiter telling him he could enlist. The call never came. Instead, on July 26, while driving a truck with a co-worker, Talbott said he received devastating news. “Nick, you need to pull the truck over, because you’re not going to want to be driving when you hear this,” he recalled his co-worker saying. Talbott pulled over. He listened as his co-worker read a series of tweets from Trump that proposed a ban on trans service members, reversing the Obama administration’s 2016 decision. Talbott said he didn’t believe what he was hearing, so he went on his phone to see the tweets for himself. The recruit is one of two dozen plaintiffs in four federal lawsuits challenging Trump’s trans military ban. He said the emotional roller coaster of the on-and-off-again ban is the reason he decided to fight it in court. The four cases will go forward separately in each of the federal district courts in which they were filed, according to Jennifer Levi, an attorney with GLBTQ Legal Advocates & Defenders (GLAD), which, along with the National Center for Lesbian Rights (NCLR), is representing Talbott. While the ban is on hold, the Defense Department is undergoing a study analyzing the impact trans service members have on the military. The Justice Department is expected to use the findings to try to defend the ban in court, Levi said. Under the Obama administration, Levi noted, the military already commissioned a study to explore the potential impact of trans soldiers on readiness and health care costs and found no evidence to justify excluding them from military service. “I’m confident that the record is going to show that transgender people have been serving honorably and with distinction for decades, and that none of the justifications that President Trump used for the ban will be proved by the facts of the case,” she said. A 2016 study by the RAND Corporation, which was commissioned by the Defense Department, concluded the cost of covering trans soldiers’ medical needs would likely be minimal, representing about a 0.13 percent increase in health care costs. It also estimated that up to 130 active service members would have reduced deployability each year as a result of receiving transgender-related treatment. “This amount is negligible relative to the 102,500 nondeployable soldiers in the Army alone in 2015,” the report stated. Talbott isn’t sure when he’ll get the long-awaited call from a recruiter, but when he does, he said he’ll be ready. In the meantime, he’s waiting for his paperwork to be processed and preparing for his entrance exam.